Gorgeous newly renovated Penthouse Condominium. Light and bright with high ceilings, Brazilian hardwood floors and beautiful details throughout. Spacious foyer leads to fireplaced living room with exterior balcony. Formal dining room with paneled wainscoting and original built in cabinets. 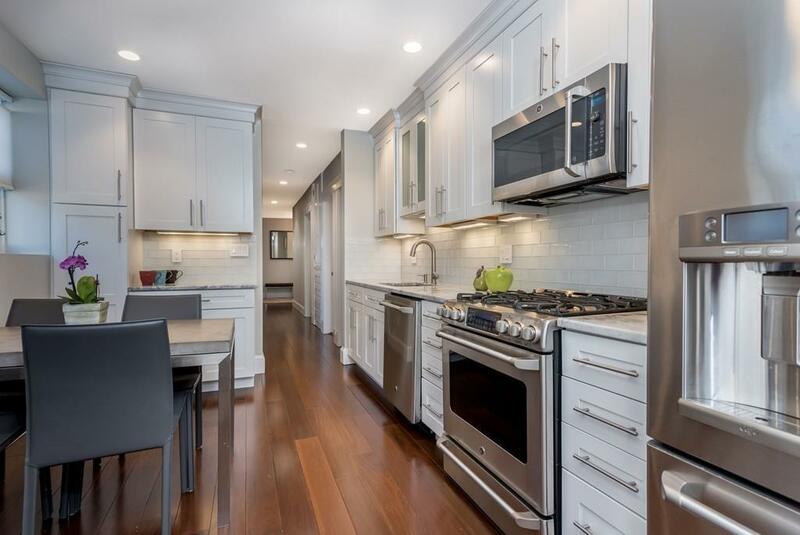 The kitchen has been tastefully renovated with top of the line finishes and appliances, featuring custom quartz counters, custom cabinets and brushed stainless steel appliances. Master bedroom features a full bath and walk in Elfa closet. Three additional bedrooms, all with Elfa closets, are nicely sized. Outdoor space completes this unit with front and back balconies featuring brand new mahogany decking. Close to Coolidge Corner, shops, restaurants, public transportation.